EMI starts at ₹ 19,739 /Month. Best car for a family of 7 to 8. Excellent driving comfort. Happy to move around with family.Excellent road grip and gives a feel of driving confidence.I think till date its a much underrated one by others who actually don't own it.Looks also is very good with a forward stance.Fuel efficiency for diesel model in actual riding conditions in city is 18.5 to 19.5 and in highway around 20.An excellent comfortable option for a fimily of 7 to 8 with even self driving as you won't feel like driving a bigger car because of its excellent maneuver ability.Overall Excellent. Was a tough choice to buy the Honda BRV Automatic vis- a-vis the Hyundai Creta and the Nissan Terrano, both of which have automatic versions. The Creta was better looking, more masculine SUV like, The Terrano had good performance I had the good fortune of being able to drive each of the 3 cars for 1 week each, as the dealer was a friend Most of us who take test rides know how useless they are in making a rational decision. I am so glad I took the decision as the experience after 3 months of driving is one of great satisfaction. The 7 seats are eminently usable. 2 adults comfortably sit on the 3rd, and 3 kids. If I have to find a fault, it would be that the accessories are minimal, lack a proper touch screen music system, no leather seats. I did splurge on that count and got a top of the line Blaupunkt ICE (in car entertainment) system with FOCAL speakers + put STANLEY leather covers and the experience has been electric. I spent approx 1.5 L additional. however a decent touch screen ICE system from JVC or Sony (30K) and higher quality artificial leather covers (approx 15-20K), would be superb to bring it to the level of interior that Creta or Terrano offers. On that count, it would be been nice if HONDA themselves offered these addons, as they do for the CRV or the Accord. The ride quality, the suspensions. the climate control Aircon, the engine performance, stability (with 1 driver as well as 7 pax) is incredible. At the 1st servicing, had an oppo to compare notes with 6 to 7 BRV owners who were there for the same as well and was glad to note that all of them were extremely happy with their decision. All in all, a superb mini SUV from Honda, its hugely popular in Indonesia, Thailand and SG.. I cannot understand why it does not have better market share in India. Maybe the cost conscious issue. The Maruti Breeza which seems to be selling like hot cakes is simply no comparison. I drove all cars of SUV category covering Eco, Duster, Brezza, Creta and finally BRV. BRV was last because it was not primary choice. But BRV gave great pickup and worked best at low RPMs. The pickup/breaking/overtaking is smooth at low and high speed. Diesel version behaves like any other petrol car, thats why I picked up it despite some missing features from even the top model. Added AVN, armrest and spoiler to make it suitable to my choice and done. Mileage is 22 city, 24 highway. City-ride is very comfortable. AC is quick. Rear seats provide great advantages by providing flexibility as per your need. Have driven 2000 km. Now the car makes lot more sense with reverse parking camera and sensor and 7 inch touch infotainment system coming factory fitted, and during the festival offer honda fest, BRV VX MT is cheaper than Hyundai Creta SX+ by 1.5 lakhs and with this addition has same features. Plus you get a reliable honda with 7 seats or 690 lt boot when 3rd row folded (which i prefer). Honda’s first compact SUV, BR-V shares underpinnings with Brio, Amaze and Mobilio. The front profile is assertive featuring bold chrome grille and rear gets an up-market appeal. Side panels are reminiscent of Mobilio with similar sharp character lines. The seven-seater gets dark themed interiors and offer comfortable space in front and middle rows. Power is derived from 1.5 litre petrol and diesel engines available with six-speed manual transmission across range and a CVT on petrol variants only. Honda claims segment best fuel economy for the diesel powered BR-V rated at 21.9 km/l. Honda’s affinity for contemporary design is evident in its products, the company stuck to high priced premium models initially, but change is inevitable, and so Honda had to alter its strategy for the Indian market. 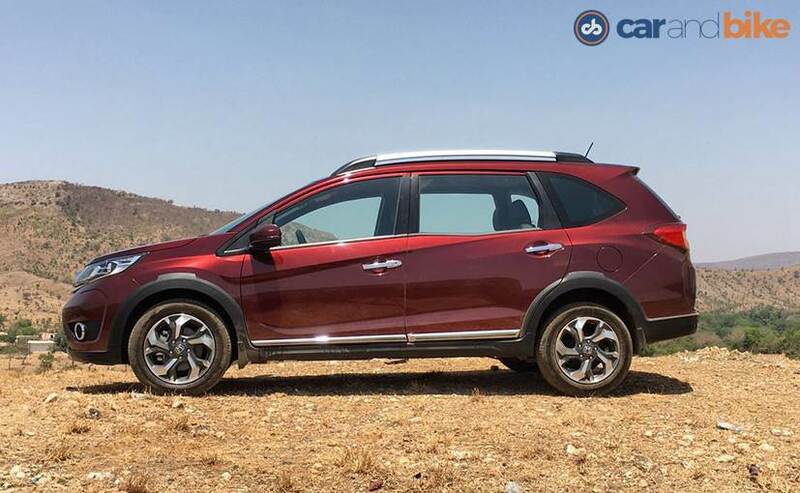 The company has been foraying in volume segments lately and has finally rolled out its first product in the compact SUV space-the BR-V. Honda already has a much premium model in its product range for India- CR-V, and so it was a challenge to build a car that lived up to customers' expectation. Hence, Honda played smart and used the versatile Brio platform for BR-V that has been used in other models like Amaze and Mobilio. But, the question remains will customers really like a similar looking model yet again? Well, maybe. Coming back to the new BR-V, it shares strong resemblance with Mobilio MPV, flanks in particular, while the front and rear profiles have been redesigned. Featuring the seven seat layout as standard, the cabin offers ample space, although it is a bit disappointing in terms of equipment and design. Engine set up comprises of 1.5 litre units in both fuel types and transmission duties are handled by a manual unit along with a CVT. 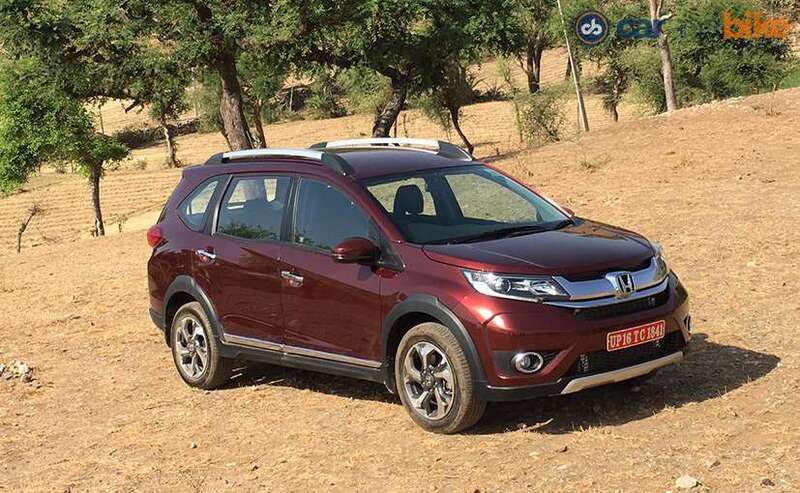 Honda has kept the pricing on par with rivals, the Honda BR-V price in India falls in the same price band as competitors. Based on the Brio platform, the SUV looks quite similar to Mobilio MPV, although the front end and rear profile bear no resemblance to the MPV. The SUV is low and has a van like stance which takes away the SUVish appeal from it. Front gets bold dual chrome slats set on the backdrop of honeycomb grille. The headlamps long and swept back head lamps go well with the two-part chrome grille, giving edge to the square-like bonnet. Lower side of the bumper features rounded fog lamps accentuated by chrome surrounds and there is a silver skid plate placed under the bumper. When you view the SUV from side, it is then that you realise how strongly it resembles with the Mobilio. The sharp character lines on the flanks and similar looking window glass reminds of the MPV. Atop BR-V gets roof rails which lend it height, else the SUV appears a tad short amid rivals. To give it a SUV like flair, black plastic cladding is seen all around the body. As you get to the back, you cannot help noticing the single unit wrap-around tail lamps running across the boot lid. Besides, the rear gets an integrated spoiler, chrome garnish above the license plate and a skid plate under the bumper. The snuggery cabin has generous space split across three rows offering enough leg and head room to occupants. Even the third row offers comfortable space, but wouldn’t be advisable for long journeys. The dark interior theme coupled with hint of chrome around AC vents and dashboard lends a premium touch to the cabin. Quality of plastic used on the dash is pretty decent; it doesn’t look compromised or cheap. Interior styling is inspired form the new Amaze, the contemporarily styled dashboard gets a flat looking centre console featuring an audio system and temperature dials. The instrument cluster is large and visible clearly from behind the three-spoke steering wheel. One of the other areas Honda has worked upon is the storage space, as BR-V gets cup holders on floor-console, doors, a large glove-box and seat back pockets etc. Despite the low height, the visibility from cabin is quite good and the driver’s seat can be adjusted for height. Engines powering the BR-V range are quite familiar; the 1.5 litre units have been borrowed from Mobilio and will be available in petrol and diesel options. The 1.5 litre, petrol engine pumps out 117bhp of top power along with 145Nm of pinnacle torque. Diesel unit, on the other hand is good for 98bhp along with 200Nm of torque. A six-speed manual gearbox is offered on both the engines and there is also an option for a CVT available with petrol variants only. There will be no all-wheel drive system; the power will be directed to front wheels. Exterior feature key styling elements such as bold dual chrome slat grille, body cladding around wheel arches, black projector head lamps, power adjusting outside rear view mirrors with integrated turn indicators, roof rails, integrated spoiler at rear and single unit tail lamp. Cabin gets handful of goodies like a three-spoke steering wheel, large instrument cluster, well-cushioned front seats, cup holders, back seat pockets, rear AC vents, glove box etc. Fuel economy tested by ARAI stands at 21.9 kmpl for the diesel powered BR-V, petrol manual variants are claimed to deliver 15.4 kmpl, whereas the petrol automatic variants can return slightly more at 16 kmpl. Honda has surprisingly missed out on the touch-screen infotainment system, something which is available on other SUVs in the league. However, the infotainment system does come with Bluetooth for telephony and audio streaming. Stopping power is provided by disc units in front and drum units at rear. Anti-Lock-Braking system is available as standard cross model series save for the entry level petrol variants. The SUV features aplenty comfort and convenience goodies like start/stop button, steering mounted-controls, roof mounted AC vents, automatic climate control, height adjuster for driver’s seat, Bluetooth connectivity among others. 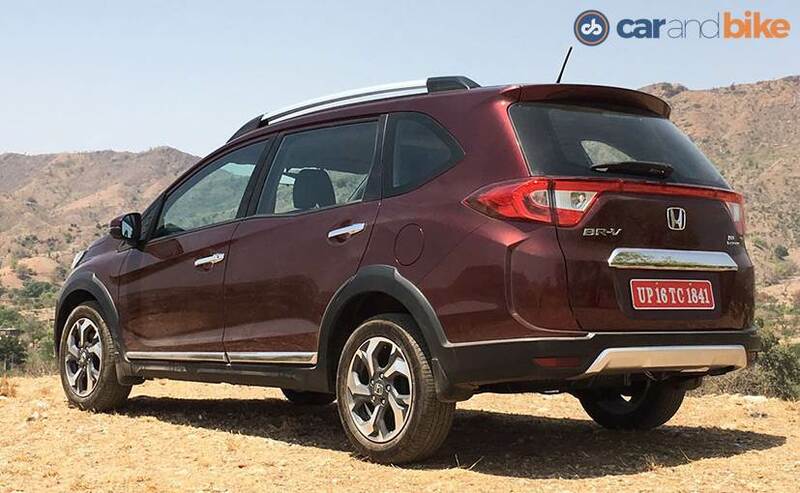 The wheels appear undersized compared to the large body of the SUV, bigger wheels would have lent BR-V a muscular appeal. Alloy rims get a modish design and are available on the high end variants. The compact SUV space has bulged out with worthy contenders like Renault Duster, Hyundai Creta, Nisssan Terrano and Maruti Suzuki S-Cross filling up the segment. The rising popularity of Hyundai Creta makes it a prime rival to BR-V, while other models also pose a strong threat, Creta is definitely the one BR-V would have to face-off in the run up to the pinnacle. 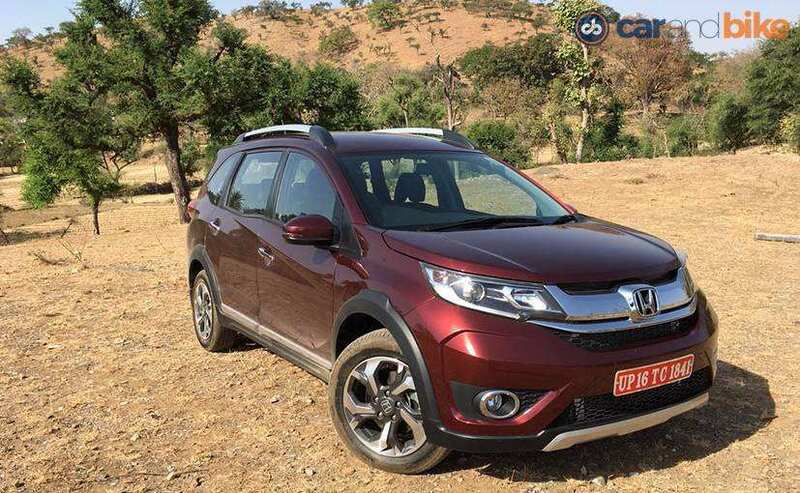 If we compare BR-V to rivals, the SUV lacks an AWD, which is available on Duster and offers CVT only on diesel variants unlike Hyundai Creta which is now also available in petrol AT variant. But what could really work for BR-V is that its fully loaded top-spec variant comes at a much lesser price as Creta, although it lacks touch-screen, but the price difference is quite substantial.